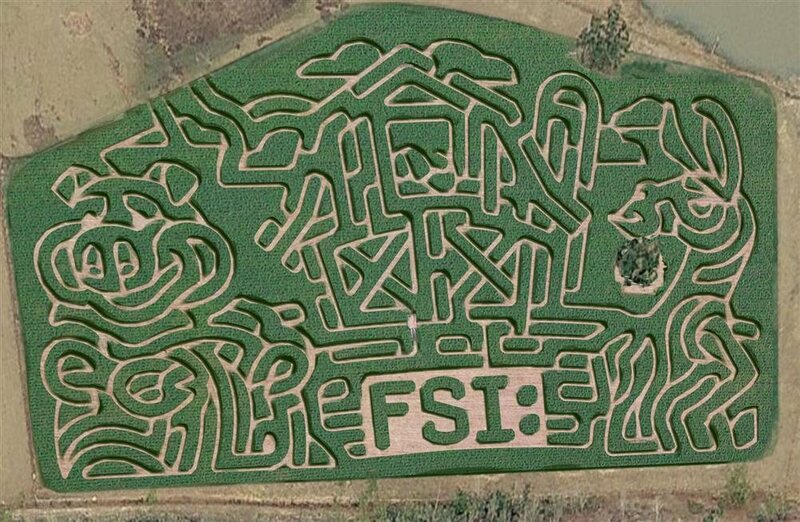 Using a global positioning system (GPS), a four mile long design is cut through ten acres of beautiful green corn stalks offering a truly memorable experience. The design changes yearly. Practice your skills being a wild west cowboy. Can you rope your own steer? See what it would be like to have to get your own milk. It's painless to play this special game. Up to 12 people can play at one time. 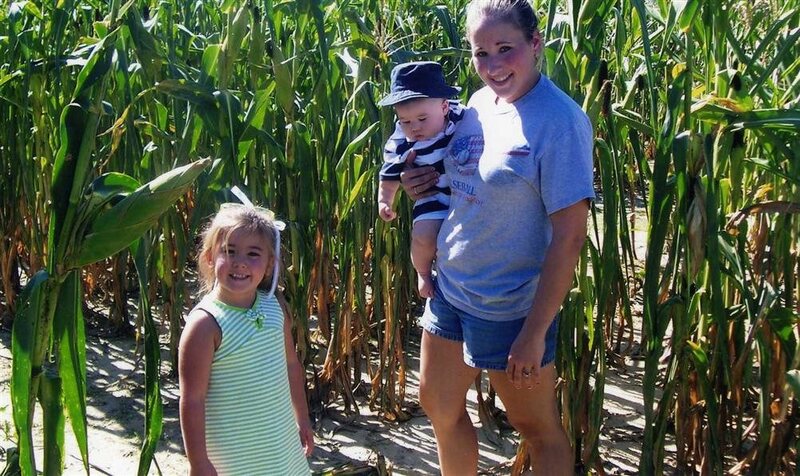 Enjoy a real hayride pulled by a tractor. 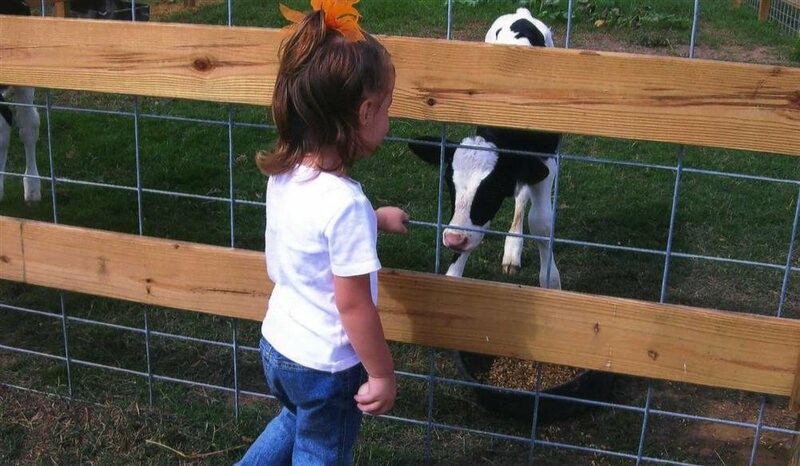 Come see all the farm animals on this authentic working farm. Are you hungry or thirsty? This small concession stand provides food and cool refreshments. Stop by and have a bite. Have a seat at picnic tables placed under the shade of live oaks. 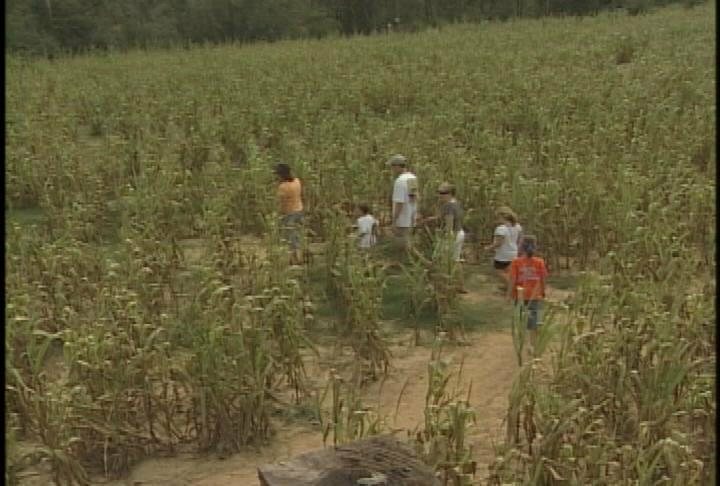 From this vantage point you can view the vast famland and the corn maze. Are your children too small for the mazes? Let them play in this area with assorted kid's entertainment. 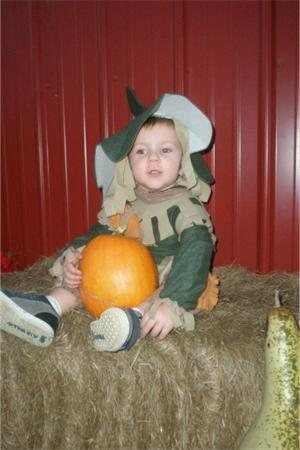 There is much more than corn, a 1.5 acre pumpkin patch will be available for picking out that perfect fall decoration. This is the perfect place for photo opportunities. Don't forget your camera.